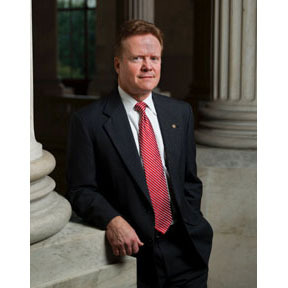 Jim Webb dropped out of the Democratic Party presidential race this week, and said he is considering a run for president as an independent. An independent run is infinitely more difficult than a long-shot run at a party nomination. First and foremost, Webb would have to build a campaign organization in each of the 50 states just to get on the ballot. A party nomination candidate doesn’t have to worry about each of the 50, instead being able to focus on the big primary and caucus states early in the process. And even then, a party nomination candidate needs to be able to raise gobs of cash. Webb has not proven able to raise basically any amount of cash, relatively speaking. His campaign was able to collect just short of $700,000, according to finance reports, before he dropped out of the Democratic Party race. When Jeb Bush is over $100 million, and Hillary Clinton is just on this side of that figure, $700,000 is barely pennies on the dollar. A wealthy candidate, like a Donald Trump, can afford to run as an independent out of his own pocket. (Which is what makes his run for the Republican nomination all the more vexing; Trump doesn’t need the GOP.) Or if you’re a Ralph Nader or Ron Paul, with diehards willing to pony up cash, you can run. If you’re Jim Webb, and you’re not independently super-wealthy, and you can’t get the diehards to open up their checkbooks, you’re doomed, just doomed. But you were doomed really from the get-go. Webb was never a household name, not even in Virginia, which he represented in the U.S. Senate for six years. Webb was a second banana politically to Mark Warner even then, and when he decided not to run for re-election in 2012, he fell behind Tim Kaine, another former governor who ran for and won Webb’s Senate seat, and Terry McAuliffe, who was elected governor in 2013, and almost certainly has bigger plans once his time in the Governor’s Mansion comes to an end. So if you’re at best fourth in your own home state, three years past being at all relevant, it’s hard to figure why you’d run in the first place. My best guess is that Webb, who is not at all a dumb guy, or an egotistical guy, threw his hat into the ring thinking, absolute best case, he catches lightning in a bottle and wins the nomination, but more realistically, he raises his national profile and ends up a pundit or the head of a think tank. The one thing that surprised me most about his failed candidacy is that he seemed to put all of his eggs in the foreign policy basket, which, great, he has solid foreign policy chops, but he also happened to be the most authentic voice in the Democratic Party field on economic justice and fairness issues. By focusing on foreign policy, he seemed more focused on running for Secretary of Defense, and ceded the economic justice hill to Bernie Sanders, who emerged as the alternative to Hillary Clinton as a result. The only thing Democratic Party voters nationally know now about Webb from a domestic policy standpoint is that he had an A rating from the National Rifle Association. Which does you no good, you know, with those Democratic voters. Where, then, does Webb go from here? In an earlier time, he could be a SecDef for a Republican president trying to look like he’s building a coalition candidate, but Republicans don’t do that kind of thing anymore. He has almost certainly talked himself out of any role in a Democratic administration, which is a shame, because Webb has a lot to offer on the national stage. So it’s on to a think tank, maybe another book, a career as a pundit. Just not as an independent presidential candidate. Jim Webb is too smart to waste his time pursuing that pipe dream.